Even though 2014 is almost on its way out, it’s still interesting to take a look back at the most popular home design trends we’ve seen during the past year. It truly was a year of innovation, as well as of intricate and personalized designs. Let’s take a look at some of the most popular changes we’ve seen in home building over the last year. It seems that for most new homes, the master bedroom has been laid to rest in favour of a master suite. Retreating to your master suite is almost like retreating to a terrific spa getaway, which is exactly the result homeowners are looking for. These suites can be minimal if desired, but many homeowners prefer the luxurious variety, which can even include adding a sauna or other spa amenities. If your home has always had a guest bedroom, you’ll be happy to know that guest suites are making an appearance too. A recovering economy means that more travelers are opting to stay with family and friends. As a result, people want to be able to accommodate them. The result is a guest suite that might even be able to put the most exquisite hotel room to shame. You’ve heard of smart phones, and you probably even have one in your pocket right now. However, smart homes are becoming more and more popular, and for good reason. Smart homes encompass everything from advanced security features that can be operated through mobile devices to designing a home that has an open floor plan with strategically-placed appliances. If you’ve been thinking about designing and building your own home, it’s important to work with a company who understands the current trends, but who also will listen to your ideas and bring them to life in ways you never imagined. These trends will become commonplace soon enough, however it will be interesting to see how they evolve in the near future. 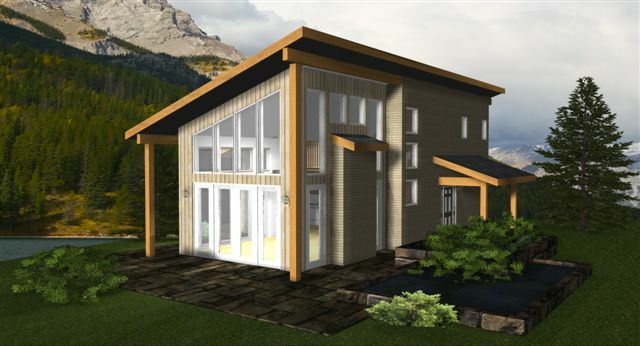 At Trafalgar Homes we have many design options to choose from. Give us a call to discuss your options. Congratulations! You have made a decision to build your next home, rather than buy it. One of the next big steps after finding the perfect lot is coming up with a design for your future home. Home designs should not only fit all of your needs and be within your budget, but you should also choose a design that is a reflection of your style. When you choose a design, it is very important to make your requirements known. Consider how you will use each space and how frequently the space will be used. It does not mater if you have an elegant style or a traditional style, there are different rules and guidelines that can help your home design be a success. When you are preparing your list, you should think of how many rooms you will need and how much space you will need. Consider the number of family areas, your dining room features, kitchen features, and so on. The land you have chosen to live on is unique, so keep this in mind when you are working on selecting your home design. You may want to place your ground-level rooms, such as bathroom and bedroom, away from the street. Make sure the flow to your home is logical because you will want to maximize all of your space. When discussing good designs, you should consider your combination of colours and textures. Every item in your home should look good and have a purpose. Are you one of those people who are not afraid of bright and bold colours? It’s fine if you aren’t. You can always go with a more neutral design. Your rooms will be filled with plenty of colours when you add your style and taste. You can add your favourite pictures, wall art, pillows, coverings, rugs, and other additional accessories. You should never be afraid to add your own personality and twist to your home. You do not want multiple windows placed where the sun will set. If this happens, it will be extremely hard to cool your home when it is hot outdoors. When you have your windows placed in the perfect location, you can increase the energy efficiency of your home. Your choice of window covers can also assist in controlling how it feels in your home. Choose your home design so you and your family will be proud to show off. You will feel great knowing you have created a comfortable atmosphere where you can watch your family grow. Not sure exactly what you are looking for? 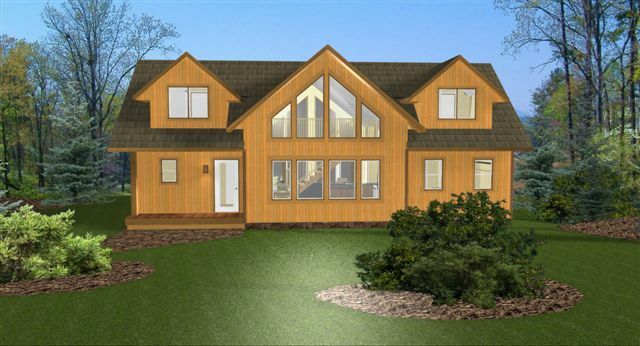 Let us help you choose a Trafalgar Home design that is right for you. Comparing home designs is absolutely essential when it comes to making an informed purchase decision as a home buyer. Even with similar home designs, intricate details can still sway the decision to pass or make an offer. By learning how to evaluate various home designs, purchasing the right home for your needs should be achievable. In terms of a space to value ratio, nothing adds more value than the kitchen. This is especially important when it comes to resale price, as most prospective buyers will generally put much of their focus on the kitchen. Even with a large house, a small kitchen can put a huge damper on resale appeal. Half bathrooms can shy away those looking to raise a family as it will often be necessary for several bathrooms to be used at once. Although half bathrooms can be useful, opt to have at least two to three full bathrooms. Having to do laundry in the basement is simply a poor home design. For those who are disabled or elderly, it can often be next to impossible to go up and down the stairs with loads of laundy. 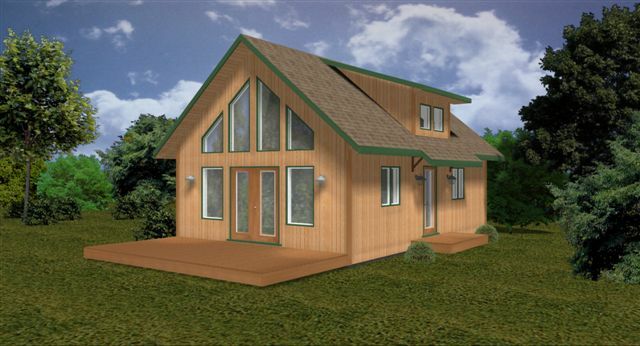 Check out our home designs and contact us for more information on building a home that is both affordable and has curb appeal! Helping to design your home can be an exciting experience. Instead of having to adapt your dream home to meet the reality of what someone else had already built, you get to make your dream home into a reality with our home designs. When deciding upon the plans for your home building project, it is important to consider three things: location, size of the home, and affordability. Some homes work best built in the country or on the outskirts of town. This is especially essential if part of the plans for your home include outdoor features. If your dream home includes a tennis court or a large outdoor swimming pool, you will need a large amount of land to make your dream home a reality. Even if your home does not require a large amount of space to make it a reality, location may play a major part in deciding where you want to build your home. Are you someone who likes close neighbors, people who can help you right away if an emergency arises? If that is the case, you will probably want to build your home in the city. Maybe you want your children to go to a certain school. You will want to make sure your home is built where you kids will go to that school. Other factors such as proximity to grocery stores, safety of the neighborhood, and driving distance to a family member’s home might also be things you will want to take into consideration when it comes to the location of your home. Some people like large homes, ones with more bedrooms than occupants and which allow ample room if guests should want to stay the night. Other people’s dream home is a small home which requires little cleaning. Of course, the size of the land upon which you plan to build your home may play a part in this, but multiple story homes can allow a larger home on a smaller-than-ideal plot of land. Ultimately, the creation of your dream home may come down to affordability. If you find your dream home and your budget are not meshing well, make a list of what is most important in your home. Maybe the jetted tub in the master bathroom will have to be a regular tub for now. Maybe the game room with a built-in bar will have to be put on hold for a while. Figure out what is within your budget, and go from there. Even if it is not within your budget right now, you can remodel later and add in the things you had to put on hold for now. On the opposite end, if you find your home is not costing as much as you had anticipated, you might be able to afford the three-car garage instead of just a two-car garage, or you might be able to have the beautiful chandelier in the dining room. Give us a call to discuss location, size and affordability in your next home build. We can find a home design that will work for you and throughout February you pay no GST and receive a free appliance package. Although it certainly sounds enticing, vacation homes are not intended to replicate the home where you spend the rest of the year. Vacation homes usually aren’t as spacious and packed with all the amenities of the home you return to in the real world away from your vacation. For this reason, you should do your best to become a partner during the home construction process in order to ensure the most efficient use of the limited space at your disposal during vacations. In order to make the most of the small kitchens found in many vacation homes, you must think in terms of storage rather than cooking when it comes to efficiency. After all, you didn’t escape to your vacation home just to spend all day running back and forth between the oven, range and refrigerator, right? Look over the floor plans during the pre-construction process and immediately get rid of any appliances you don’t need and downsize any appliances that are too large. Carve out every last inch of space in the kitchen and the area adjacent to the kitchen for storing canned goods, frozen foods, bottled drinks, bagged snacks, fast food leftovers and all those other typical examples of vacation nutrition. Since you are still on vacation even when you do cook, it certainly doesn’t hurt to add a nice big window to look through and enjoy the view while preparing meals. Save usable square footage inside the bedroom by foregoing closets if your plans for vacations are not extended ones. Consider adding some sturdy built-in storage drawers beneath the bed as one place to store clothing in the absence of a closet. If you can eliminate bedroom closets and still be satisfied with your clothes storage alternatives, the larger area can be used for a second bed or a video game station or even a small desk if you absolutely must conduct business while on holiday. Even vacation homes require some time for relaxation of the type you normally enjoy every night back at your residence in the real world. When planning for construction of the living room in vacation homes, it may well be worth a little customization to allow sink back into routine if you so desire. Built-in shelving means you can design a place to keep books, video game cartridges, your old vinyl record collection or anything else to exact specifications. Not only do built-in shelves give you a chance to place what will likely soon come to be seen as a necessary limitation on what you want to bring from home, but it also eliminates the cost of buying shelving and the labor of transporting it to your vacation home. Corner built-in shelving is even more efficient use of limited square footage in living rooms. You’ll regret using up precious space in your vacation home to make room for including a washer/dryer combo, but if you plan on spending long periods of time in your vacation home, you will regret not having included it even more. Scrutinize the floor plan closely to uncover any area that can be transformed into the most efficient laundry room possible. If you have to sacrifice some deck or patio area, so be it. The longer you spend in your vacation home, the less of a sacrifice it will come to be seen. Looking for the perfect vacation home? Give us a call we can find a vacation home design that suits your needs. No GST and Free Appliance Package until February 28th! When you luxuriate in a new home design, you want to enjoy the special features that you’ve added. You don’t want to spend your free time cleaning and maintaining them. After all, you have a family to take care of and a regular job to get to. 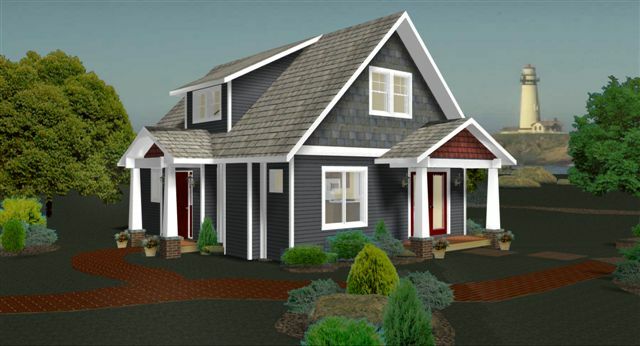 You can meet this need by constructing a home that requires little maintenance. Start by reducing extraneous detail. Wainscoting, fancy doorknobs and cabinet pulls, and grooved switch plates gather dirt on their multiple angles and depressions. Reduce the number of surfaces and stick with smooth, flat planes and you eliminate having to clean them. For example, use paint to add decorative detail rather than fancy moulding. And stick with kitchen cabinet fronts without handles so a simple wipe cleans them. Certain materials and colours show smudges and dirt more readily. These include black and white, featureless flat planes, and anything that shines, like chrome. Go with neutral medium colours like beige or grey, and add patterns to hide grime. Use matte rather than shiny finishes. For example, on bathroom fixtures, burnished pewter faucets will hide water spots more readily than a shiny silver faucet. Keep things together if you use them together. That means having the laundry room near the bedrooms if you like the convenience of throwing your clothes in the wash after you undress. Or putting it near the kitchen if you like to do laundry as part of your cooking chores. Consider a whole-house vacuum with outlets near major traffic areas and rooms. Instead of lugging a heavy vacuum cleaner around, you just plug a lightweight hose where you need it. To find out more about low-maintenance home designs without all the frills, or get started on building one, please contact us. We are offering no GST and a free appliance package now until February 28, 2014! 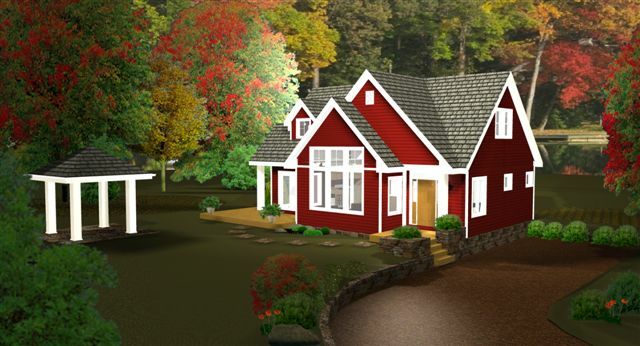 Home designs have gone through many changes over the years, and the changes are considerable! However, one thing has remained constant; people want to feel comfortable in their homes. One of the biggest comfort providers in a home is space. The room to get about comfortably from one room to the next seems to have been an afterthought in many older homes. Lately, narrow hallways and tight turns have been giving way to the “universal design” which blends wide hallways into the overall design of the house. This prevents the appearance of a nursing home, in which halls are widened to accommodate wheelchairs, but provides ample space and comfort for people of all ages and abilities. The “open floor plan” has been around a long time and is quite useful for large families, but modern architecture takes advantage of subtle dividers, such as counters and archways, to create rooms without resorting to traditional dividers, i.e., walls. This is a way to prevent that hemmed-in feeling without making a house seem more like a warehouse. One modern trend is actually a throwback to the days before the light bulb. Large, tall windows are not only aesthetically pleasing, they’re very eco-friendly. Facing south, they warm up a room in the winter thanks to the sun. Bring all the warmth in during the day and draw the curtains in the evening to keep the warmth in. During the summer, the sun travels much higher in the sky, giving you the natural daylight without the blazing heat. Using the natural daylight instead of electric lighting can save on your energy bills, so take advantage of this new-again trend! A modern home doesn’t have to send you to the poor-house. Once a design is selected, the construction team knows exactly what materials are needed. By using industry standard material, construction can begin quickly and be finished on time. In fact, the builder may have some of the material already on hand and not even have to order it. This reduction in time leads to a lower cost in man-hours. This, in turn, leads to a lower cost for the home-buyer. Home design has certainly come a long way. From mud-huts to modern architecture, your home has always been your castle (and for some of our ancestors, they actually were castles!). 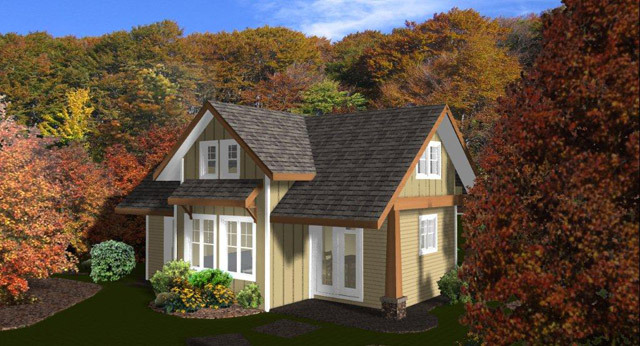 Is it time to choose one of our affordable home designs and build your next home? Contact us today for your free no-obligation quote and find out.